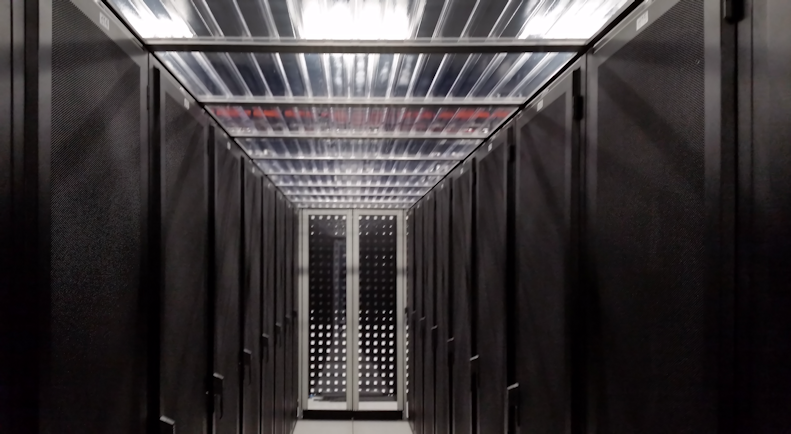 Cold Aisle Containment in data centers isolates the cold air as it is fed into the racks. 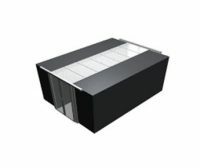 By isolating and concentrating the cold air, cooling capacity and energy efficiency of the cooling unit are increased. A primary advantage of cold aisle containment is that by focusing on the cold air, or the air that is fed to the servers, air temperature requirements are more easily met. This significantly reduces the likelihood of hot-spots and allows increased cooling temperatures. 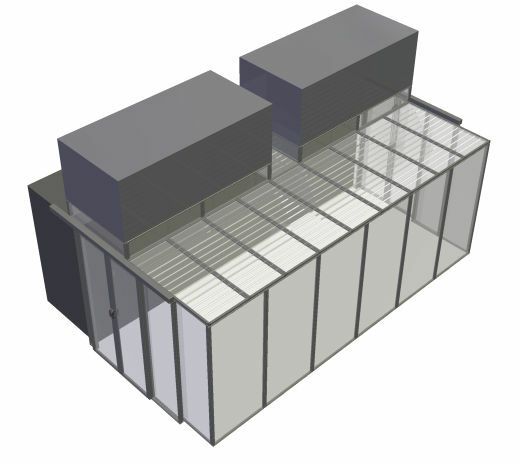 Cold aisle containment will also minimize or even eliminate moisture management requirements. 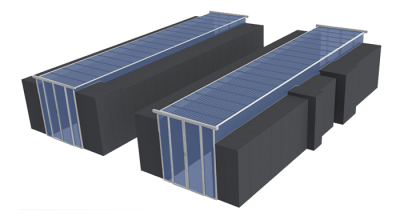 In addition to energy savings and improved operational efficiency, cold aisle containment can also improve aesthetics and reduce noise outside and around the data center. Karis offers several options for cold aisle containment. Rigid containment is the most efficient option. Rigid Doors, walls, and ceiling panels are made with sturdy high quality aluminum and ASTM certified poly-carbonate paneling. Our containment is made with tight tolerances to eliminate air leakage and to improve function and durability. Our soft containment is a more economical option. 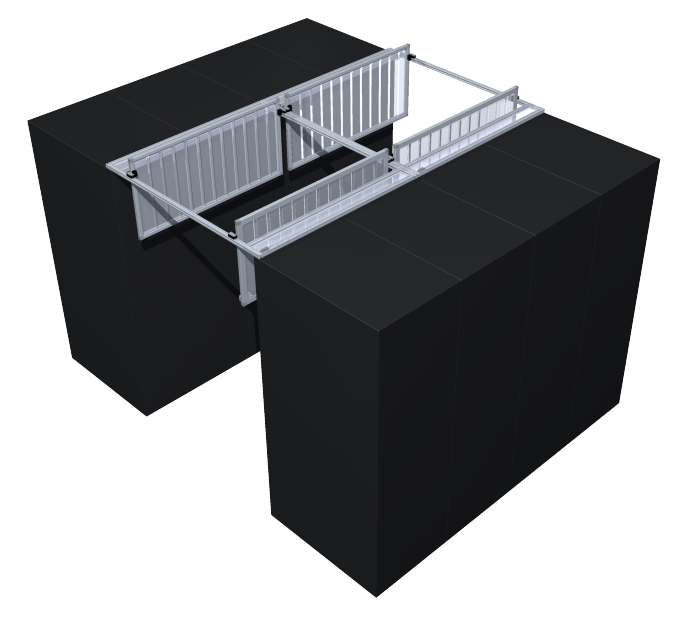 Soft containment can also be combined with rigid containment to meet the specific needs and varying requirements of individual data centers. For example, if a rack is often pulled out and put back into place, a vinyl curtain is an ideal option, to fill the space. All Karis containment options can be custom designed. 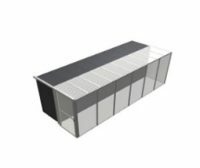 In both hot and cold aisle solutions, clear polycarbonate paneling with a high optical clarity rating comes standard in all our rigid doors and walls. This paneling meets or exceeds all ASTM E84 ratings for use in a data center. At Karis, nothing is built until we have received verified measurements and an order has been placed. Rather than make a one-size solution, we work with our customers to design a set of products around their unique constraints, so every job fits and looks perfect. 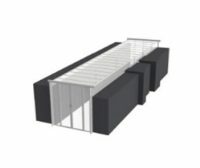 Our new cold aisle mechanical ceiling can be built to either raise or to drop. It easily resets, and uses the same shrink-away plastic as our standard ceiling panels, so redundancy is built in. It links directly to the fire suppression system in the data center.